This example and the next, HBCC-6129, provide a matching pair of double eagle patterns in copper, featuring two different reverse designs. 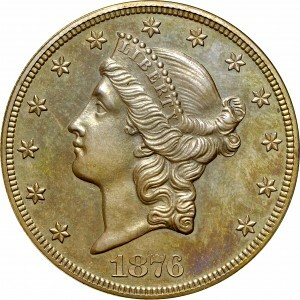 This one has the denomination abbreviated TWENTY D. as on regular issue double eagles minted from 1866 to 1876. Just one example is known in gold, last sold in the King Farouk Collection sale of 1954. 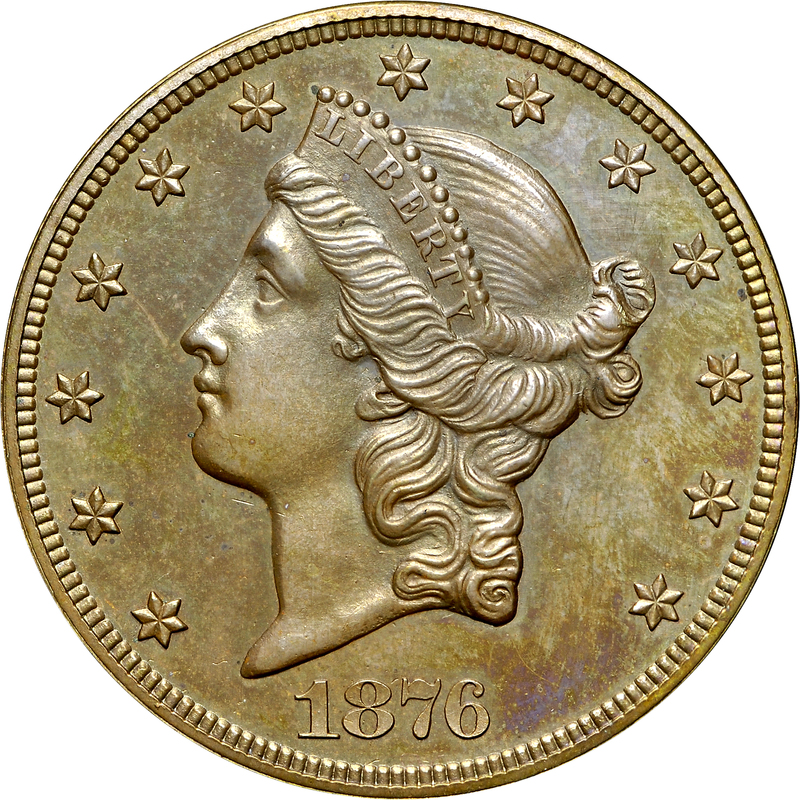 Three examples are known in copper. From Paramount's sale of the Burnheimer Collection, Greater New York Auction, May 1976, Lot 1207. 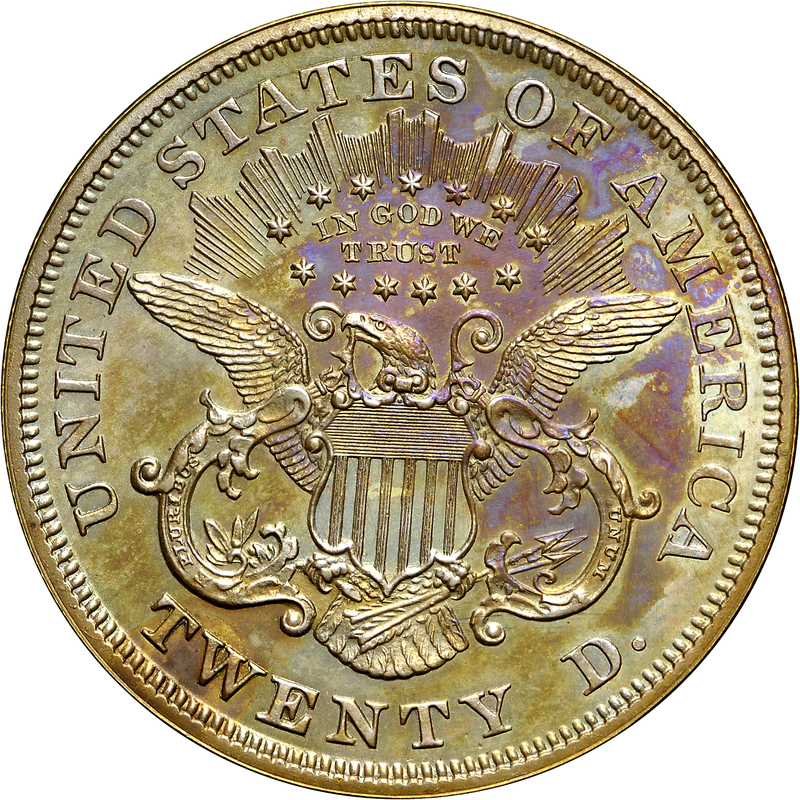 From the standard die for the regular-issue double eagles with the denomination expressed as TWENTY D.